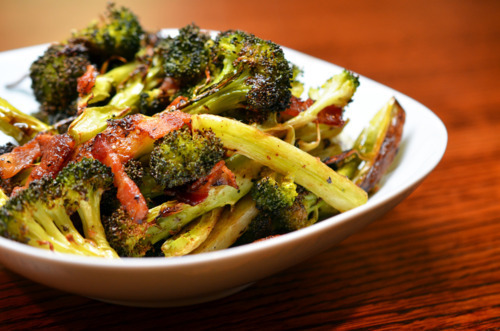 Roasted broccoli and bacon is the easiest and tastiest Whole30-friendly vegetable side dish on the planet. My kids are always fighting over this dish! 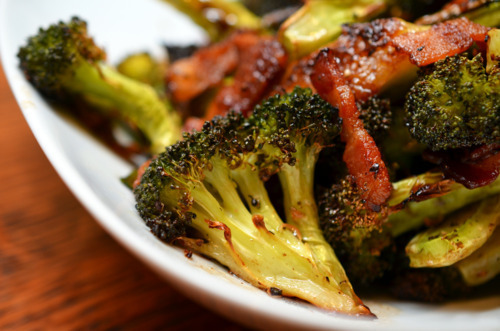 Inspired by Jaden Hair’s recipe for roasted cauliflower and bacon, here’s my roasted broccoli and bacon recipe! Heat the oven to 400°F convection bake (or 425°F if no convection) with the rack in the middle. Line a rimmed baking sheet with parchment paper or foil. Cut up the broccoli into florets. (No, I don’t normally wash them unless they’re really dirty, but I do inspect for bugs and I toss the florets that are super-infested.) Organic broccoli often features small crowns and large stems so I normally trim the tough skins from the stems and throw them in as well. 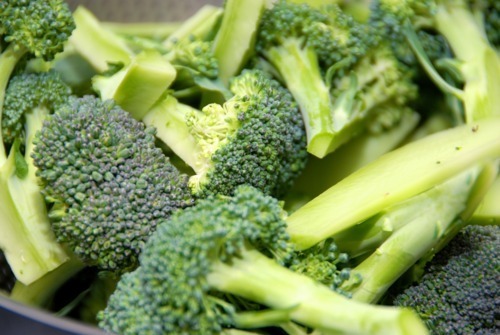 Grab a large bowl and toss the broccoli, bacon, garlic cloves, olive oil, salt and pepper. Yes, you can also do this directly on the baking sheet! 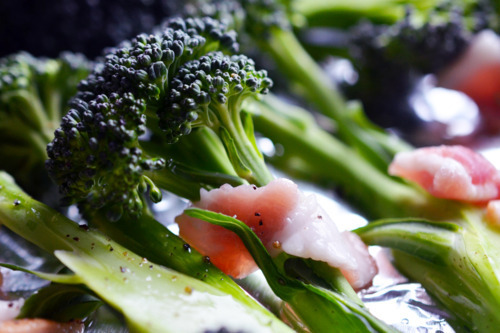 Spread the broccoli and bacon in a single layer on the rimmed baking sheet. Pop the tray in the oven for 30-35 minutes, rotating the tray and stirring the contents at the halfway point. The dish is done when the broccoli florets are nicely browned and the bacon is fully cooked. To finish the dish, squeeze on the juice from one lemon or drizzle on some aged balsamic vinegar!